A page from Oshihiyi, the 1917 Stetson University yearbook. 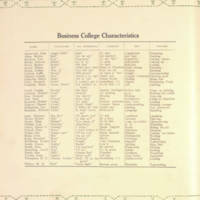 This page focuses on the students enrolled in the Business College, including Paul Hon (1898-1918). Students' nicknames, favorite sayings, ambitions, gifts, and pastimes were recorded for posterity. Paul Hon was born in July 1898 in Orleans, Indiana, and moved with his family to DeLand, Florida in 1900. The Hon family rose to prominence in DeLand, as Hon's father served on the Stetson University Board of Trustees and eventually had a dormitory building named in his honor. Paul Hon, the eldest son in his family, attended Stetson University as a student in the Business College. On May 10, 1917, he enlisted in the United States Army and served as part of Company B of the 1st Engineers until his death on July 20, 1918, during the Aisne-Marne Campaign, the last major German offensive of the war. The 1st Engineers were often responsible for clearing roads and other such tasks, and occasionally served as support to other areas of the Army. Hon is considered MIA (Missing In Action), his body never having been recovered. He is memorialized on the Tablets of the Missing at the Aisne-Marne American Cemetery in Belleau, France. Digital reproduction of original yearbook page: Image courtesy of the Stetson University Library Archives. Originally created and published by the Junior Class of John B. Stetson University, Class of 1918. Copyright to this resource is held by the Stetson University Library Archives, and is held here by RICHES for educational purposes only. seq=11" target="_blank">A History of the 1st US Engineers 1st US Division. Coblenz, Germany, 1919. Abney, Barb. "VA Selects UCF Historians to Archive Stories of Deceased Veterans." UCF Today, March 13, 2017. Accessed August 7, 2017. https://today.ucf.edu/va-selects-ucf-historians-archive-stories-deceased-veterans/. American Battle Monuments Commission. "Paul L. Hon." Accessed August 1, 2018. https://abmc.gov/node/346636. Florida Department of Military Affairs. "Paul Hon." Online database with images, FloridaMemory. Accessed August 1, 2018. https://www.floridamemory.com/items/show/19401. Shurley, Ange. "Colorful Hon Hall Bites the Dust." The Stetson Reporter, May 19, 1967. Accessed August 1, 2018. http://digital.archives.stetson.edu/cdm/ref/collection/Newspapers/id/6741. U.S. Census Bureau. "Paul Hon." United States Census, 1900. Online database with images, FamilySearch. Orleans, Orange, Indiana. NARA microfilm publication T623, FHL microfilm 1,240,396. Accessed August 1, 2018. https://www.familysearch.org/ark:/61903/1:1:M9MK-C8D. Junior Class of John B. Stetson University, Class of 1918. 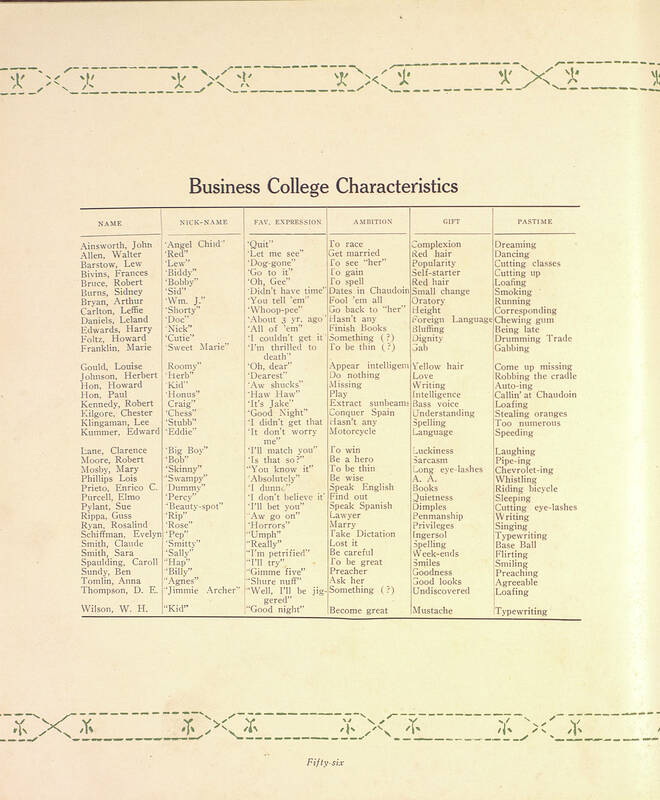 “Stetson University Yearbook, 1917.” RICHES of Central Florida accessed April 19, 2019, https://richesmi.cah.ucf.edu/omeka/items/show/10369.